Maybe it's the mommy in me, but ... I keep equating this whole divorce process to having a baby. Strange, but true. Think about it. Right now, I'm in the "maternity leave" stage of the process. I'm ready to start my new life, but can't. I'm pretending that this is my new life. And, it isn't. I'm doing what I can do to survive and taking it day-by-day. I've lost sleep (but, am sooo over that!). Uncontrollable circumstances are causing me to be out of my normal routine. I am happy and excited to move on, but am exhausted at the same time. 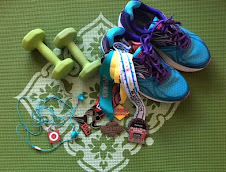 I'm using my running, just like I did after my second pregnancy ... to bounce back. To do something for myself. Something that makes me feel good about myself. Something to blow off steam and frustration. My running helps me set goals and makes me do what needs to be done to achieve them. Those babies eventually grow up. They mature. They learn. I am growing up, maturing and learning, too. This process has been amazing and I am learning so many things about myself every single day. Oddly enough, it has all been a blessing. Just like those babies. but there's something good in every day. but the future is listening. Well, the first month of 2011 is in the books! One half marathon down; eleven to go. I met my monthly goal of running over 100 miles for the month and am on my way to 1,500 miles. I wasn't able to compete in my scheduled half marathon for January, due to a death in the family, but I did fit in the 13.1 miles on the treadmill the very next day. I attended the Icebreaker indoor marathon to spectate and met up with two fabulous running bloggers. I attended a local Multisport Expo and met up with some great vendors. I broke out out of my comfort zone and joined a local running group, I got off of the treadmill and back outside (even if briefly!) and met some great runners in the process. I visited the 2011 Great Lakes MultiSport Expo (HERE) at the Milwaukee County Sports Complex in Franklin, Wisconsin this weekend. Last year, the expo was located in Milwaukee at the State Fair Park. The expo was a bit further of a drive for me, but I'm glad I went. The venue was nice, but there seemed to be a few less exhibitors than 2010. The parking lot was a bit of a chaotic mess. Besides the slush mess of gravel and melted snow, vehicles were parked all over the place in no rhyme-or-reason. It made it pretty difficult to find a spot to park. When I got inside, though, it was well organized and I was excited to go shopping and meet with vendors. 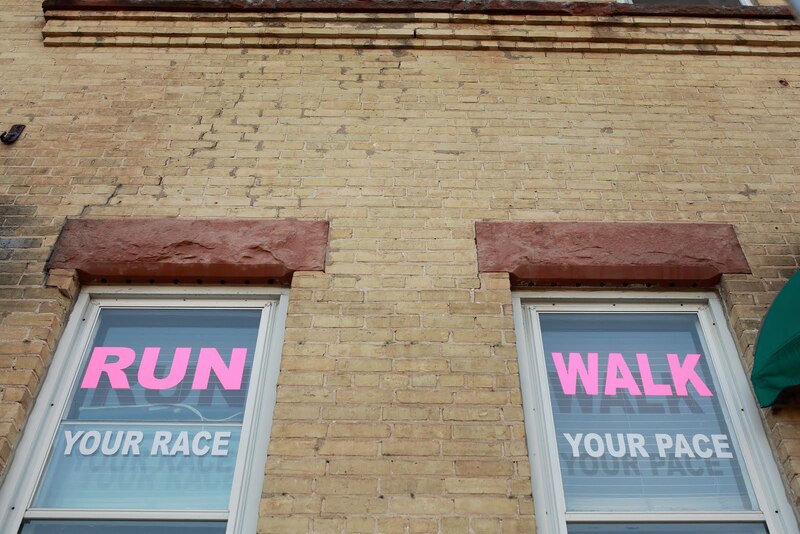 I had pre-purchased my admission at Berkeley Running Company (HERE) in Madison the week prior. Always good to get a discount. 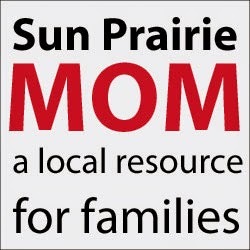 I met with the race organizer from the Prairie du Chien Half Marathon (held in May in Wisconsin) (HERE) and really enjoyed chatting with her. More on that soon. I also chatted a lot with the lady that ran the IRUNLIKEAGIRL (HERE) booth. I didn't pick up anything at their booth this year, because they no longer had the sweet $10 bins!!! I really do love their technical tops. I had been in touch in touch for the past few months with Dan from Hidden Bay Sports (HERE). 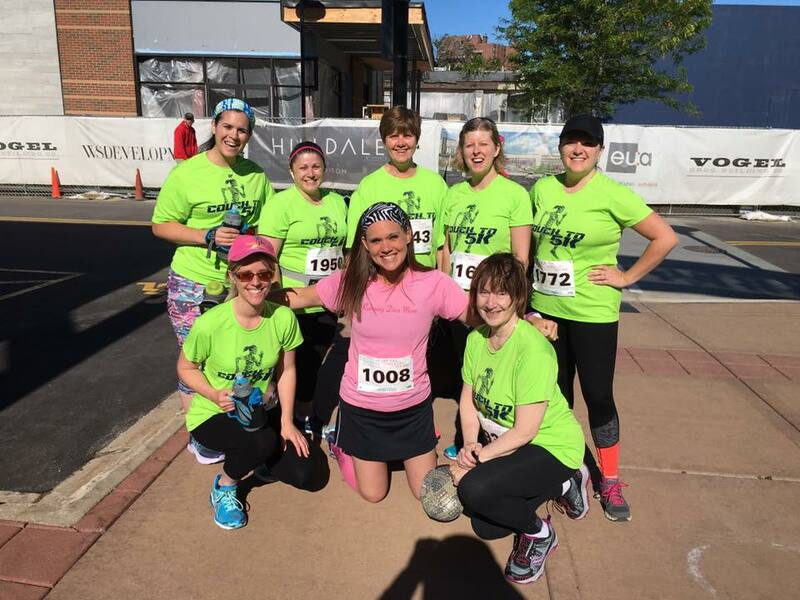 Hidden Bay Sports creates custom running, cycling and triathlon apparel. I had a great time getting to know Dan and Chris at the expo. And, I look forward to working with them much more in the future. 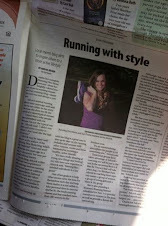 Check out the custom Running Diva Apparel they designed for me to sport at my twelve half marathons this year!!! Doesn't it rock?! Much more on this fabulous business relationship really soon. Stay tuned. Hidden Bay sports created a custom pink animal print singlet, at matching headband and techinical top. I can't wait to sport these on my next 13.1 mile journey! I also picked up a turquoise skirt from Skirt Sports, a long sleeve hot pink technical top, some fun argyle socks, some new nutrition to try and another pink handheld. Can never have too many, right?!?! I am really glad that I took a break from the Wisconsin winter to attend the expo. The expo was not huge, but was a decent size and it was nice to be surrounded with some like-minded people. It also got me psyched up for race season and meeting all of my goals for 2011. Now I'm fired up! The Fit Skorts (HERE) come in plain colors for $45 or some fantastic prints for $47. They come in sizes XS to XL. They are available in eighteen fun prints, to express your style out on the course. I chose the Poseidon print. I typically wear a medium and was sent a size medium. It felt comfortable, but may run a little large, as it shifted slightly during my run. However, I have lost seventeen pounds in seven weeks and that could be a slight factor, too!! "Sensor" 88% Polyester / 12% Spandex for outer body fabric AND compression brief! The fabric was comfortable and the fit was awesome, awesome, awesome!! If you've never tried a running skirt before, this would be a great one to try. It was comfortable. 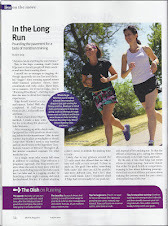 I loved that the skirt was a bit longer than other running skirts out there on the market. I have more "muscular" legs than some of you tiny little running gals out there. I like to cover up my thighs when I can, and this worked perfectly. My only gripe is that there isn't an inner or outer pocket for gel, keys, etc. The waistband was also very comfortable, as was the compression brief. I am even told that they are even coming out with a pink animal print that matches my blog ... exactly ... sweet ... can't wait!! Enter now though Thursday, February 3. 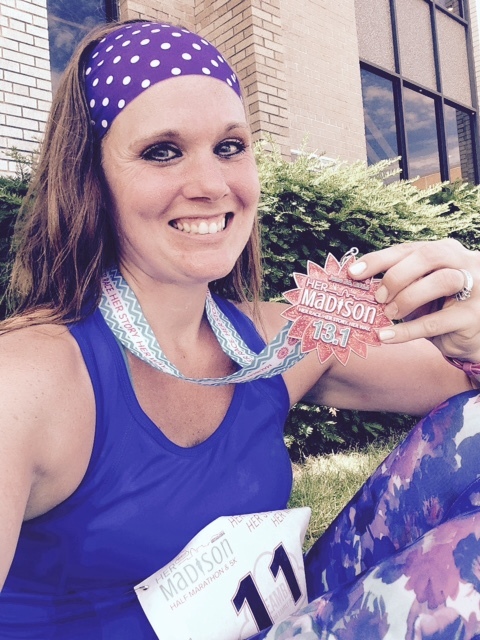 There are so many fun headbands out there right now for the running community. I recently came across PunkeeLove Headbands from We Cover Your Head (HERE). The non-slip headbands are absolutely adorable and functional at the same time. These headbands are always the perfect fit and adjust to fit any sized noggin; even mine! They are perfect for girls in youth sports, dance or gymnastics or for a woman looking to express herself in the gym or out on the course. I love that they don’t squeeze your temple and fit just right. I didn’t get the “headband headache” that we ladies sometimes experience with headbands. These babies are comfortable!
" Running Diva Mom" and "Little Diva"
There are so many Punkeelove Headbands in so many styles, patterns and colors. You can even design your own! 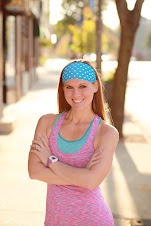 Since I love personalization and customization, I totally loved these personalized Running Diva Mom and Little Diva headbands that they had made for us!!!! I’m sensing another mother/daughter race (with matching outfits) this summer! These personalized headbands are perfect for sports teams, siblings or birthday gifts. There is only a small fee for custom embroidery. 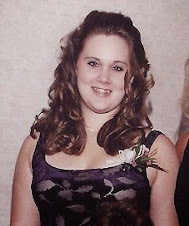 I typically like the wider bands, because I have shorter hair and the wider headbands tend to hold my hair back better. I also have a larger head and forehead. My custom headband is thinner than I’m used to, but it fit me just find and was comfortable. I also thought it looked pretty stylish! Punkeelove Headbands are available in: 1.5" grosgrain, 7/8" grosgrain, Wide Nylon Blend, and 1.5" Jacquard or Woven. I love the convenience of meal and energy bars. I have tried so many kinds over the past several years. There are dozens and dozens out there to try. They each have their own niche – geared towards dieters trying to lose weight, individuals wanting to increase their protein intake, endurance athletes hoping to fuel-up on carbs, persons following a low-carb diet. Then, I came across Gnu Bars from Gnu Foods (HERE). These bars are all about FIBER! Gnu Foods is a small company that makes all natural, great-tasting foods that help address specific nutritional needs and health conditions. It was founded in 2004 with the introduction of our first product, the Gnu Bar, a high fiber bar that promotes regularity and heart health. Real health makes us feel good inside and out, physically and emotionally. Returning to real health, feeling good the way nature intended—that’s what Gnu Foods is all about. We’re dedicated to creating Food that Works.™ Processed foods tend to have all the “goodness” squeezed out of them and many contain additives which simply aren’t what our bodies were designed for. The result: an obesity epidemic in America, even among our children, as well as soaring rates of heart disease, cancer, and Type 2 diabetes. Gnu Foods is what your body was made for. You can check out all of the tasty and intriguing Gnu Bar flavors (HERE). Tasty flavors include: banana walnut, chocolate brownie, cinnamon raisin, espresso chip, lemon ginger, orange cranberry, and peanut butter. Retails online for $1.99/bar or you can purchase a five-pack for $7.89 or sixteen-pack for $23.99. Some of these flavors were a little different for me. But, I really liked those flavors that I was initially turned-off by. Orange cranberry and lemon ginger were a refreshing alternative to the typical peanut butter. Though the old stand-by, peanut butter, tasted simply delish. I used these bars as snacks and breakfast meal replacement bars. For breakfast, I paired them with a high-protein greek yogurt, to tide me over until lunchtime. The espresso chip bar tasted great when paired with my “liquid candy bar” coffee!! The bars were really chewy. They are a little different than what I’m use too, but they were good. I love the convenience of meal and energy bars. It means portion control and easy, go-to snacking. I love having a convenient and healthy breakfast option. Treating myself to something tasty, yet good-for-you, that will tide me over until dinner or during my next run. At just under 150 calories, these are a great low-calorie snack or fourth or fifth meal of the day. Low in fat and high in fiber, they are a great low-POINTS Weight Watcher snack or meal option. I have been following the Weight Watchers POINTS program for almost thirteen years and these would definitely be a no-brainer for me in losing or maintaining my weight. The bars in high in carbs, but also high in fiber (50% of your daily value!). The carbohydrates may be a good fuel option for the run, but you may be hitting the nearest port-o-potty one mile into your adventure!!! If you are looking to increase your fiber intake, Gnu Bars are a yummier alternative to dietary fiber supplements. A little bit more satisfying. With over 10,000 Flower Girl Dresses, First Communion Dresses, and Christening Gowns in stock and 100s of styles, we are certain you will find the perfect dress for your little girl at Pink Princess (HERE). Do you love internet shopping, but hate the shipping costs? Well, Pink Princess offers free shipping both ways! Little Diva was all festive and stylish on Christmas Eve in her Black Euro Chiffon Rosebud Dress (HERE) from Pink Princess (HERE). She had just turned seven and wore a size 7/8 pretty comfortably. Typically, she’s wearing a 10/12 on top right now. We paired it with a pair of leggings and she was ready to celebrate the holiday. The rosebuds were affixed with clips and are easily removable for the wash. The dress washed up super well. Now she enjoys prancing around the house in this dress, while playing dress-up. The Pink Princess has been in the children’s clothing business for over three decades, spanning the entire spectrum of kids’ apparel, from casual play wear to black tie formal wear. They not only offer adorable dresses for little girls and pageantry wear, they also offer some fantastic formalwear for boys. There is a huge selection of communion and christening outfits on their site, as well as holiday and wedding formalwear. In the early nineties, in response to very high customer demand for formal wear, they shifted our focus to the special occasions market. A decade later, they are now an industry leader in both girl dresses and boy’s formal wear, with flower girl and pageant dresses amongst their biggest sellers. Pink Princess has some very friendly customer service staff. Email inquiries will be replied to within the next business day. Thanks for Reading & for Following my Journey! 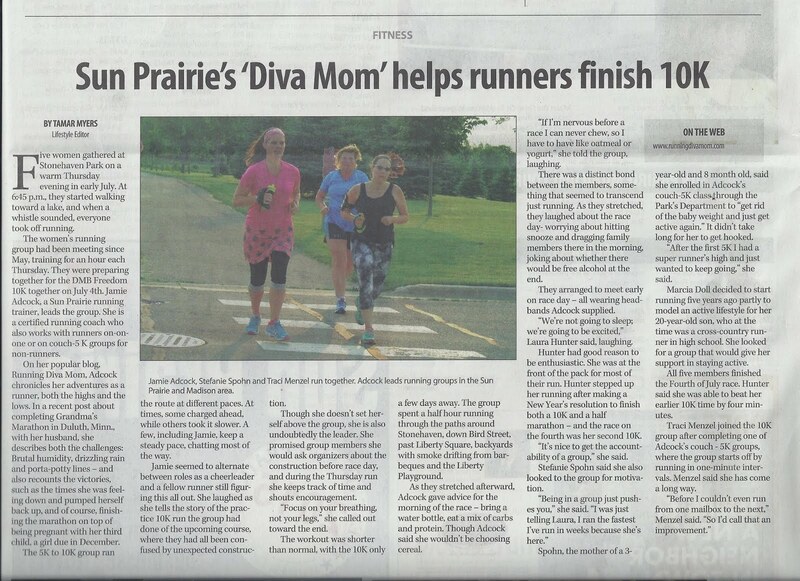 Writing on Running Diva Mom is so incredibly therapeutic for me. It helps me get my thoughts out there, holds me accountable, and documents my journey. It's my public journal. Occassionally, I forget that there are actually people out there actually reading my words! It feels great to know that you can relate to my stories, are encouraged by my words and that some are inspired by my journey. 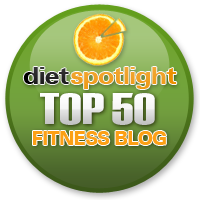 At Dietspotlight.com, we’ve read hundreds of blogs and websites discussing fitness. We get over 25,000 visitors every day, and readers are always emailing us with their blogs, and with sites they think we’ll like. 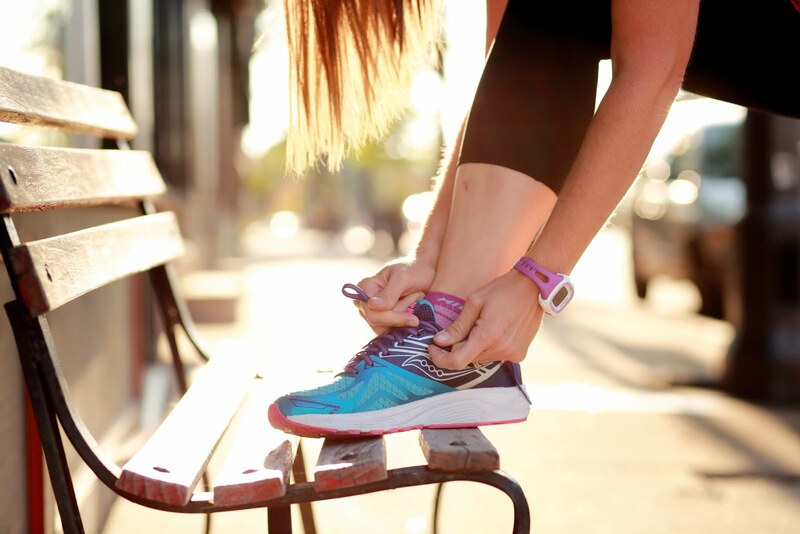 Out of all of the fitness blogs we’ve checked out, these 50 are the ones we keep coming back to for exercise advice and tips. Some are entertaining, some are serious, and some are inspirational. If you’ve got a blog you think should be on here, drop us a line. Happy reading! 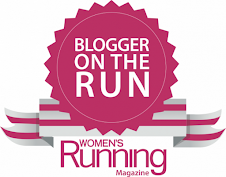 This blog is about a mother of two young children and her running journeys. She chronicles her road races and inspires one to join in the fun of being fit. A very uplifting site, and the blogger's posts will make you smile. 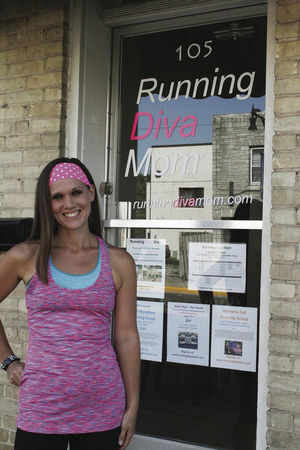 This wife and new mother has turned to running for her personal time and fitness time on Running Diva Mom. 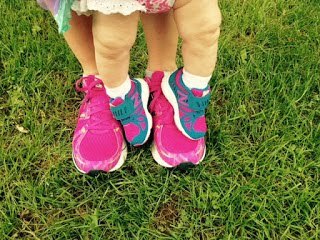 Her passionate journey of combining motherhood and running is detailed in this fun and personal blog. 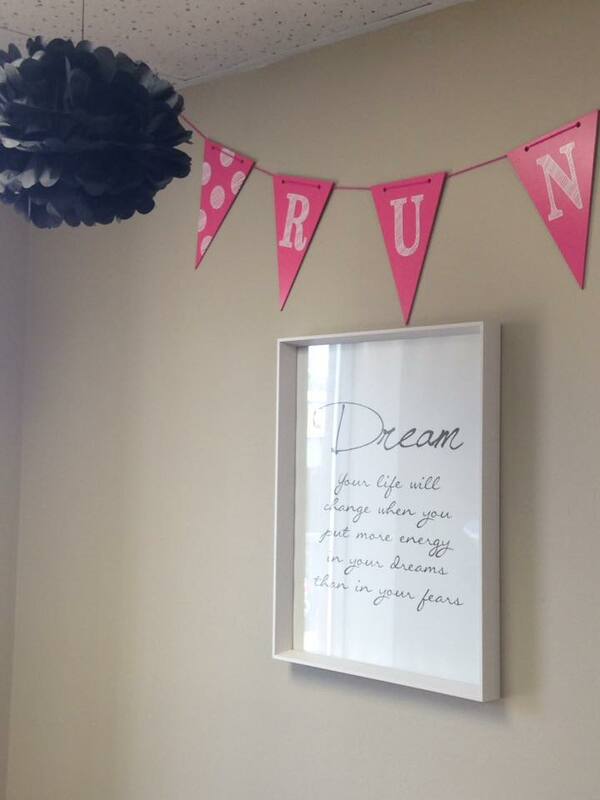 Her goal is to run 1400 miles and she’s almost there. As most of you know, I do almost ALL of my miles solo ... either outside in the warmer months or inside on the treadmill during the colder Wisconsin months (which there are many!). And, I hate the cold weather. I don't believe my feet have hit the pavement outside since the Haunted Hustle Half Marathon at the end of October! Yes ... I am a whimp! Since this year is all about trying new things, branching out, and stepping outside of my comfort zone ... I've been exploring all sorts of new opportunities to fill my time when I can't be with Little Dude and Little Diva. Recently, I learned of a local running group that holds Tuesday night runs, I thought I would give it a try. It would help me step out of my comfort zone and force me to try to meet some like-minded individuals and help convince me to do some "social running". This would also get me off the treadmill and get me back outside. Seriously, how much fun is running in place?!?! So, I pulled my running tights out of the back of my drawer of running clothes and paired it with a cute running skirt, three layers on top, pink CEP compression socks and a bright Bondi Band. No reflection gear was going to be needed on this nightime run!!! I left work and ventured out to the meeting point. Seven people had RSVPd for this run. I was told that only 2-3 usually show during the winter months. But, but there were about nine of us that ended up running together. And, I was the only chick! We met up at a local bar and I met some familiar faces that I had seen online the past few weeks. Even though I was the only chick, the group was a great mixture of ages and levels of experience. I love how runners can bond, no matter what your running background is and what your personal life entails. Some were new to the group just like me, but everyone seemed to have something to talk about and conversation flowed well. Afterall, there is always running/racing to discuss in awkward moments of silence! We headed out for a 3-4 mile loop past Lake Monona and the Bay. After about one mile, the group started splitting off into two separate groups, based on speed. I didn't feel cold, as I warmed up and my pace felt awesome. It was a balmy 20-something degrees and there was no wind off of the lake. The conditions felt surprisingly great! And, I felt great! I paired up with some of the faster runners and we headed out around the Bay. It was fantastic breathing the fresh Winter air. I loved that the group would say "hi" to other runners (and there were a lot of them out last night) as we passed them out on the trail. We ended up taking some detours and ended up with 5-5.5 miles, as we returned to the bar. Most of us returned to the bar for some drinks and sat down and chatted. Some of us found it quite entertaining that about half of us were either divorced or going through a divorce. Is it any coincidence that we all need the running?!?!?! I don't think so. I didn't eat dinner. I didn't have an alcoholic beverage. But, I continued the evening with 4+ hours of fantastic conversation over two Diet Pepsi's and had an absolute blast. One guy that reads my blog had me laughing so hard all night that I was crying. My face hurt from smiling all night. As much as I've been feeling awesome lately and have actually been smiling a lot .... those happy tears of joy really make you feel phenomenal. It was an amazing time with some great people, and this will force me to get out of my comfort zone much more often in the future. It was so worth it. stepped outside of your comfort zone? People always ask me how I can log sooooo many miles on my treadmill. B-O-R-I-N-G ......... It helps that I have a tv tuned into some reality tv while I'm logging the miles. But, usually that is just a small distraction and I keep the sound down or muted. I get lost with my thoughts and only look over at the tv every once in awhile. I love cranking up the itunes while I'm running and drowning out the sound of the tv. Here are some of the tunes on my current workout playlist. I hope that you will find some new favorites to get you pumped and keep you going mile after mile. Most are upbeat tunes. But, some are slower and have a great beat and rhythm that helps me "dance" to the music. The kids love how I pound my feet to the beat. I have a slight obsession with Rhianna right now, if you couldn't tell. Have any favorites you wanna share!? Half Marathon #1 of 2011 - COMPLETE!! As I mentioned, I could not race the Icebreaker Half Marathon yesterday, due to attending a funeral. I still wanted to complete a half marathon this month, in my quest to meet my goal of running at least one half marathon every month this year. Driving home from spectating the full marathon this afternoon, I decided that I wasn't going to put off that 13.1 mile run, and just do it. I didn't want it hanging over myhead for the next eight days. As soon as we got home, I hopped on the treadmill and cranked it up to a steady 7.0 MPH. I felt awesome the entire time and only had to stop the treadmill a few times for things for the kids and for the ten mile break, before the machine shuts itself off. I felt strong, fueled and pumped. I didn't need any gu or any fuel during my run and chugged three bottles of ice water. That's it. I was feeling awesome. The tv was on but I never watched it really. Little Diva and I listened to itunes and sang along. Half Marathon #1 of 2011 - COMPLETE! Ended my run with my favorite post-run refreshment. Chugged me some Diet Mountain Dew. I have had some interest from many of you, wanting to joing me for my half marathon in February. Some of you want to join for all thirteen point one miles and some for part of it. I'm not sure if this will be happening in Madison or Milwaukee. I need some feedback. As I mentioned yesterday, I couldn't race the Icebreaker Indoor Half Marathon (HERE) yesterday in Milwaukee. The full marathon was scheduled for today and I wanted to spectate and see what this race and the Pettit Center was all about. So, I loaded up the munchkins in the marathon mommy minivan for a roadtrip to Milwaukee. I was so happy that I decided NOT to wash my minivan yesterday, because I found this sweet note from Little Diva before we headed out. Made my heart melt. As we headed out of town, it was a chilly January day in Wisconsin. Bright and sunny, but really cold. What a perfect day for an INDOOR race! We arrived at the Pettit Center shortly after 11am (after two rest stops for the munchkins!). Several marathoners were still chugging along. The race started at 8am. The kids and I headed upstairs to a nice room that overlooked the Pettit Center. You could see the runners on the track, speed skaters and games of hockey. There was so much going on. You really got a great view from upstairs ... and it was warm, too. Afterwards we also saw ice skaters and synchronized skating. Pretty neat. The track wasn't packed with runners at that point, but there was a steady stream of marathoners around it. We headed back downstairs to get a closer look. It was quite a bit chillier inside. The kids opted to keep their coats on. I didn't find it necessarily (since I run hot). We unloaded our "bag of tricks" and sat down on a blanket to spectate. There were also bleachers off to the side and spectators lined up around the track. There were monitors that showed the names of the runners and how many laps they had completed. Announcements were constantly being made with updates. Not too long after sitting there, I heard someone say 'hi' and it was Amy from Running (Reading) is Cheaper Than Therapy (HERE). She ran the half marathon the day before and stopped by to meet me and the kiddos. She brought along her two adorable little girls as well. The kids enjoyed coloring while we chatted for a bit. We were supposed to have connected back in early-October when we both ran the Milwaukee Lakefront Marathon, but didn't connect after the race on that cold fall afternoon. I hope that we can meet up again if she races in the Madison area this year. She was really, really sweet and I hope to see her again. While we sat there, I saw Bill from Love 2 Run (HERE) running around the track. 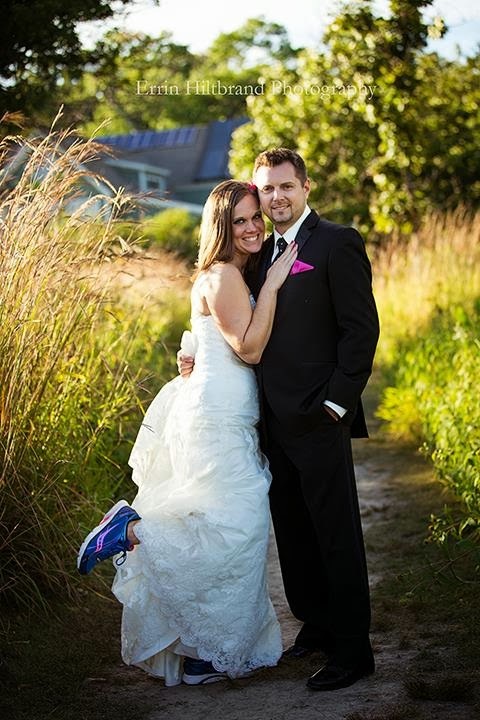 Bill and I had been writing ever since we both ran events at the Haunted Hustle Marathon and Half Marathon last October and discovered eachother's blogs. He had been working the Icebreaker events all weekend and completed his insanely busy weekend of fun by running the full marathon. His enthusiasm for these events is infectious and was the one that encouraged me to sign up last fall. Bill saved my packet for me, and the shirt really rocked. We met up after the race and sat around and chatted. It was really nice to finally meet him in person. He's totally down to earth and a great guy. I hope that we can meet up at some events or training runs in the future. He has A LOT of marathon experience, and I hope to gain some of that knowledge for my full marathon in October! I am so happy that I stopped out to spectate and see what this race is all about. Had I raced yesterday, I would have showed up blind to what it all entails. I really am looking forward to signing up again next year and being a bit more informed in 2012. The concept of an indoor race in January in Wisconsin is really very awesome. I am supposed to be running the IceBreaker Indoor Half Marathon in Milwaukee this morning. I have been planning on this for a couple of months now. And training for this half marathon has kept running a constant in my life right now. Unfortunately, my aunt passed away last week and the funeral was scheduled for race day morning. Obviously, other things are much more important. And, I will be where I needed to be. With my family. I was looking forward to the event and seeing Little Dude and Little Diva during all 47 laps around the track. And, I was looking forward to seeing some local runners and meeting up with some of you on race morning. I hope that everyone has a great time participating in such a unique event. I do look forward to hearing your thoughts, comments and race reports on the event and hope that you will forward them to me. I do plan on spectating the full marathon event on Sunday, and seeing all of the crazies run almost 100 laps around a track for 26.2 miles!! See some of you out there. Little Diva had the day off of school, so I decided to bundle them up and load the munchkins up in the marathon mommy minivan for a full day of fun. It was so good for all of us (despite it being the coldest day of the year!). I had heard about a new cupcakery that opened up at Hilldale Mall in Madison. GiGi's Cupcakes (HERE) sells all sorts of awesome specialty flavors. And, they taste just as awesome as they look adorable. We ordered three huge cupcakes and came home with half of what we ordered. Couldn't splurge the extra calories on 2% milk -- had to get skim of course! Little Diva, of course, ordered the Miss Princess cupcake. 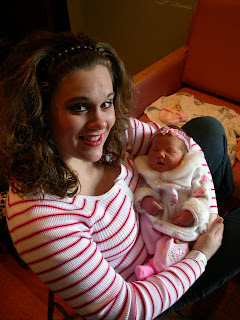 It was precious and was topped with a pink tiara. Little Dude ordered the Peanut Butter Cup cupcake that I also happily tasted. Even better than a Reeces! My mad love for sweet potatoes, inspired me to order the intriguing Candied Sweet Potato Cupcake. It was awesome, and topped with candied pecans, toasted marshmallows and cream cheese frosting. YUM! The shop is absolutely adorable and smells delicious. We loved the pink table and chairs and being surrounded by the scent of cake batter. This would be a great place to take your kids for a special day or to meet up with some girlfriends. We did things a little bit backwards, and followed cupcakes with lunch at Sonic. The kids love sitting in the van and watching a movie while they chow down. Not to mention, it was free, because they had free vouchers from their birthdays last month. We also had a blast using gift cards at Toys R Us, because we absolutely needed more toys right now! I stopped by Endurance House (HERE) at Greenway Station. They currently have their Great Race Giveaway promotion (HERE) where if you spend $150, you get a free entry, or discounted entry into some local races. I love taking advantage of this. We all now how quickly $150 can go in a running store! If you're local -- you need to stop out! Little Dude and Little Diva enjoyed playing with the toys by the warm fireplace, while I wandered around. They also enjoyed looking at the "treadmallows" that they had handy for people to test out their running shoes. The store was quite busy for a Friday afternoon. I have a feeling they get a lot of business this weekend, because of the awesome promotion they're running. I ended up purchasing two new pairs of Brooks Adrenalines and a PINK (!) handheld water bottle. I can't wait to start training now! And, what am I training for?!?!? With all that I have going on right now and how up in the air my schedule is, I didn't want to schedule anything big for the spring. So, I opted to get a free race entry for the Haunted Hustle. I asked them to sign me up for the half marathon in October. Then, on a whim, I said "Heck, I'll do the full". So, there we have it. I WILL be running another full marathon this year. It feels really good to have something on my calendar right now. As far off as it is. Remember my goal of running a half marathon every month this year? Well, due to the change in circumstances and a very limited racing budget, I'm not going to be able to make that happen 100%. But, I still would like to organize a 13.1 mile fun run during those months that I cannot participate in an organized event. I'm thinking that some of these events will take place outside at some of the awesome local trails and some at the Pettit Center in Milwaukee. And, I promise some awesome goody bags again!! Any of you local (Wisconsin) runners want to run my February half marathon with me (weekend date TBD)? I hope that you can join me for one of my twelve half marathons this year!! I Have Found My Match! I have never been a "gym rat" and do almost all of my outdoor running on my own or with the kids. I actually do most of my miles on the treadmill at home, while the kids are playing around me. Running while others are watching me, listening to me, and even smelling me (!!) is all a new experience for me. But, I like it. I enjoy being surrounded by like-minded individuals. Some are new to exercise and some have made it a life-long habit. 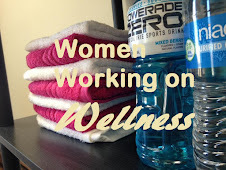 It feels so good to working out with others that have made exercise a priority in their lives. Even if it is a temporary lifestyle change, due to New Year's resolutions, a recent health scare or an opportunity to drop a few quick pounds ... everyone seems excited to be there. I love running in between a middle aged woman to my left that is holding onto the treadmill as she trots along at a 5.0 MPH pace; while there is a young stud to my right who is clipping along at 9.5 MPH for four consecutive miles. I love when my footsteps coincide with someone next to me; when we get into a rhythm and the beat keeps me moving along. I get a kick out of the guy three treadmills down who grunts after every .1 mile and clears his throat. I love looking at the door every time it opens to see who my next "competition" is on the empty treadmill. 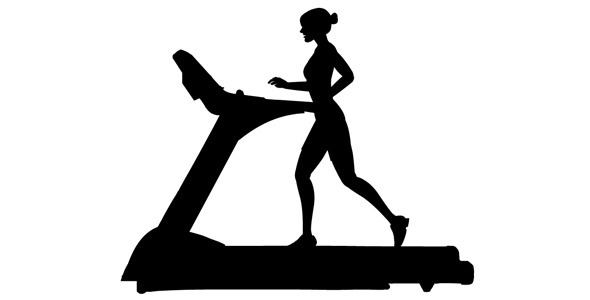 I love how everytime someone hops on the treadmill next to me, it motivates me to go just one more mile. And that's what happened today. 3 miles turned into 4 and 4 turned into 5. I could have gone further, but I have a race on Saturday, remember?! What is this blog about?! I chose the name Running Diva Mom for a reason. It's what I'm all about. It's about my training and racing and the friends I make along the way. It's about my journey as a young mother raising two incredible kids and the fun things we do together. It's about my sense of style and how I incorporate that into my running and my lifestyle and the cool products I enjoy sharing with you. That's how it all started. It was about me. It is still about me. I have not changed. I am who I am and I am exactly what you see on my blog. At least that's what people tell me that have had the opportunity to meet me in person. I am a happy, outgoing and colorful person and no "anonymous" commenter is going to bring me down and convince me that I am otherwise. I am a happy person and am only going to be happier in the future. If you don't like me and don't enjoy hearing what I have to say, then I guess you should refrain from reading my posts. I am a very positive person and am not going to say anything negative about anyone or anything on RDM. This blog will NOT be about negativity. One thing that has changed about me ..... Since I started this blog about a year-and-a-half ago, I realize now that I have been building my support system here virtual friends online, bloggers I've met in person, reconnecting with old friends, strengthening bonds and forming new ones. That is obvious from my last post. I've been building my support system and preparing for this very difficult time in my life. I am surprisingly doing VERY well one-month-out because of my support system. Other than Little Diva and Little Dude, my support system means everything to me right now. And, I have made so many new connections because of this terrible situation. It is obvious that so many other people have similar stories. It is an unfortunate bond, but I think that I will have some ever-lasting bonds with some very special people because of it. Huge hugs to all of you! So many of you have reached out to me over the past month to remind me about how STRONG I am. I have appreciated your encouragement and your comments. But, you know what?!?! I already knew that. I was wearing my cuff bracelet from Jill at Lift Your Sole (HERE) today. 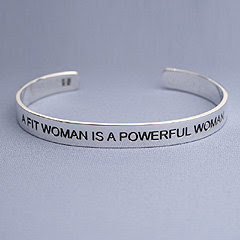 It says A FIT WOMAN IS A POWERFUL WOMAN. When I received and reviewed this bracelet months ago ... I didn't know how much those words really meant. I am powerful and strong. And, I'm just getting stronger. I mean, how many people can say that they've run three marathons and more than a dozen half marathons while raising two fantastic children?! How many women can say they've endured childbirth without pain medication?! How many people can say they've come out of an all time low point in their life ... escaped the negative to find the positive ... with a smile on their face?! ME. It's gonna be a fantastic journey, too! I got my first double-digit miler of 2011 in this past weekend. And, I definitely feel like I've got my groove back. I felt phenomenal during the run and after. That sense of accomplishment ... of pushing myself through strong emotions and exhaustion are amazing. I completed my ten mile journey in place, on the treadmill. I figure if I can run ten miles in place, I can certainly run thirteen point one on the track! I also love seeing that calorie-counter roll-over! I'm preparing for the InStep Icebreaker Indoor Half Marathon in two short weeks. I have been moved to the later race at 9:30 am and hope to place VERY well, since this is the slower of the two half marathon races. 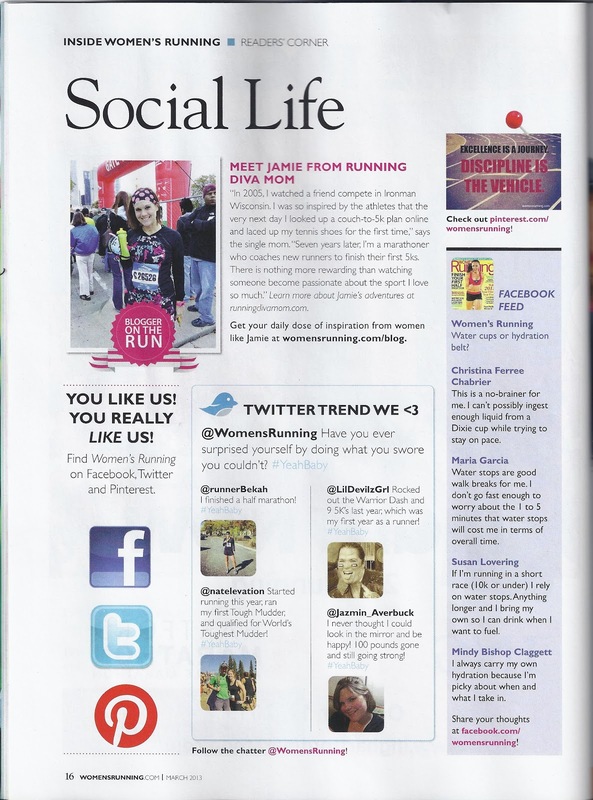 I also hope to meet up with some cool runners (especially my insane bloggy-friend, Bill from Love to Run HERE. Visit Bill's blog for some inspiration ... He finished two marathons this past weekend and is doing the full indoor marathon in two weeks!) between the two races, before I start my 47 laps around the Pettit Center track! I'm told that several bloggers and readers of RDM will be there. I can't wait to meet a few of you! please reach out and let me know! Last year, I accomplished several of the goals I set for myself on January 1. There were seventeen items on my list and I was able to cross twelve of them off by December 31. Not too shabby. I have NEVER looked sooo forward to the New Year. new experiences for all three of us along the way. A Fresh Start in 2011 .. Happy New Year! !